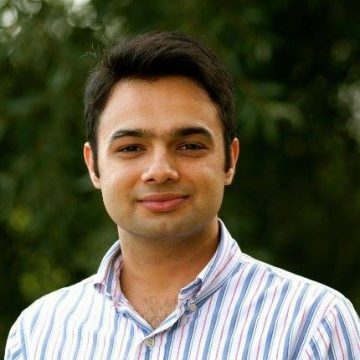 Currently, Dr. Mahalwar is working as Manager Strategy – Life Sciences at Ernst & Young in Frankfurt. He is also serving as an elected board member of the Max Planck Alumni Association of the Max Planck Society. His work at EY includes advising biotechnology, pharma R&D and MedTech companies onareas like – investment strategy, commercialization strategy, advance analytics strategy – how to generate value proposition from R&D data and etc. Before joining EY, he was an Independent consultant for EU projects and Croatian government. He have been an entrepreneur as well and co-founded startups – a digital health start-up “”EOG Smartpatch”” (medical device and digital healthcare data) and a platform based startup – Paperity (publishing industry). He holds a PhD in Life Sciences from Max Planck Institute under the supervision of Nobel laureate Prof. Christiane Nüsslein-Volhard. His research was published in high impact journals like Science, Nature communication and eLife. Beside his PhD research, he was involved in several initiatives with Max Planck Society (MPG) as the spokesperson and deputy spokesperson of the Max Planck PhDnet in 2015 and 2014 respectively. He had represented MPG at several internal and external initiatives like – open science policy at the US Capitol, Opencon – global open science initiative, ECR advisory board member headed by a Nobel laureate Prof. Randy Schekman at eLife (consortium of HHMI, Welcome trust and MPG), EU science policy meetings and etc.